Since it’s beginning in 2011, Grand Design has taken the RV industry by storm. 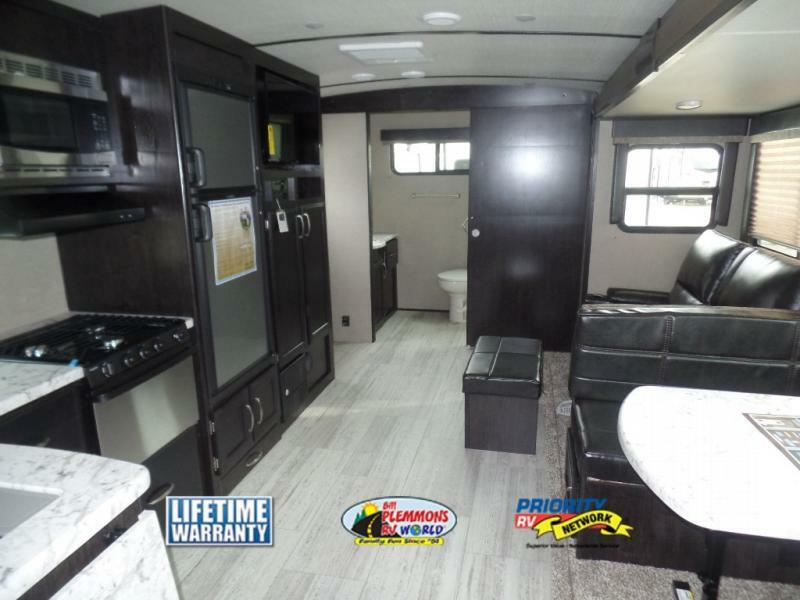 By providing the highest quality construction and more premium standard features than other RV’s in their class, Grand Design products are a popular choice for quality conscious campers. 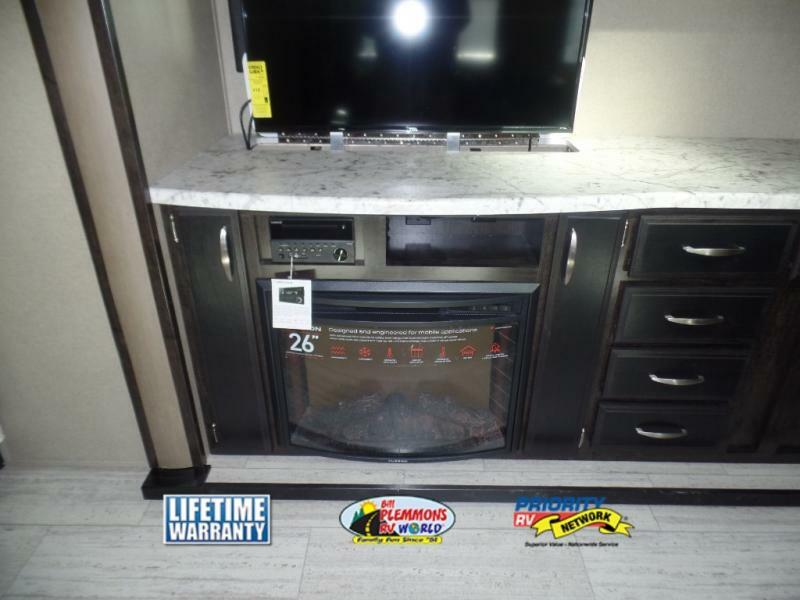 The Grand Design Imagine Travel Trailer is a perfect example of high end RV living at a value driven price. If you’re ready to take your camping experience to the next level, there is an Imagine RV Model for you. Go glamping (glamour camping) in the Grand Design Imagine and you will see how luxurious RV travel can be. As you step inside the Grand Design Imagine, you are welcomed by a warm, residential interior, just like home. Decorative, high end components can be found front to back, such as frosted glass cabinet inserts, solid hardwood drawer fronts, large panoramic windows, and stainless steel kitchen appliances. The vaulted, radius roof gives the Imagine’s interior space an open feel that is hard to beat. 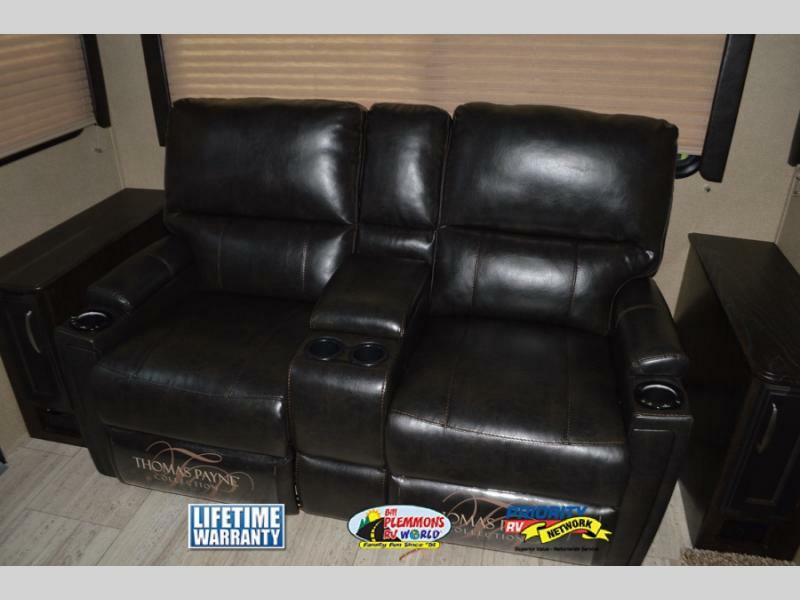 Kick back and relax in the upgraded residential furniture, your choice of a plush tri-fold sofa, huge U-shaped dinette or reclining theater seating, depending on the floorplan. Some floorplans such as the Imagine 2950RL even include a warm electric fireplace for cozy evenings. Now, this is living the travel trailer RV life in style! In addition, most models weigh in at well under 6,000-pounds, making the Imagine a fantastic choice for campers with a medium duty truck or SUV as a tow vehicle. Choose from a wide variety of floorplans suitable for either families or couples. Outside, you will find the same high quality Grand Design RV’s fit and finish which demonstrates their unfailing attention to detail. 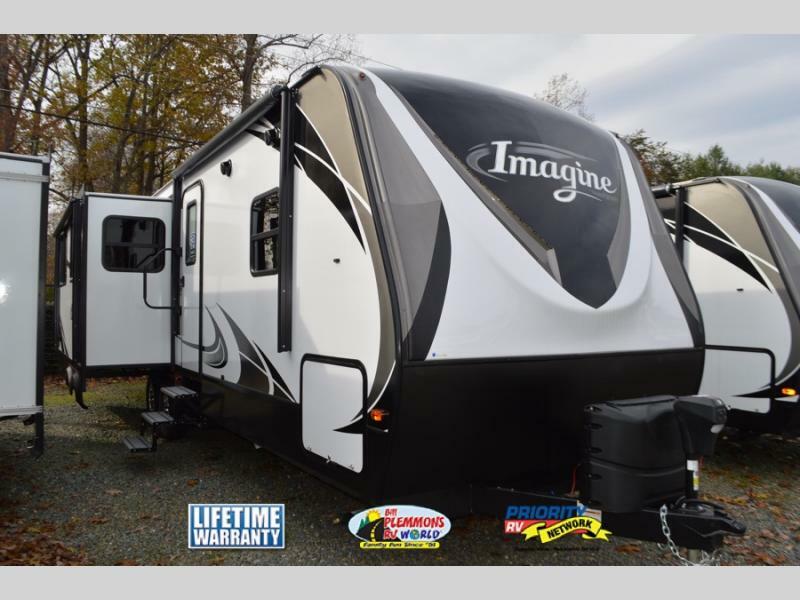 With laminated aluminum framed sidewalls and roof and a gel coated fiberglass exterior, the Imagine travel trailer is exceptionally durable and lightweight. The eye catching and aerodynamic fiberglass front cap with diamond plate rock guard provides projection against extended road wear. Convenience is the name of the game when it comes to a stress free vacation. 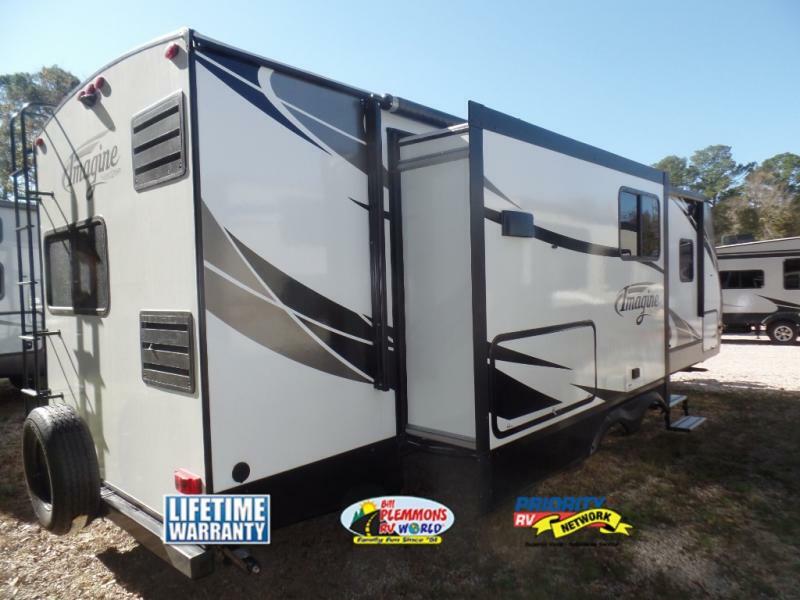 The Grand Design Imagine is equipped with a power tongue jack, a back up camera prep, electric awning with LED lights, magnetic storage and entry door latches and aluminum “tread lite” entry steps. Take a tour of the large selection of Imagine RVs for Sale at Bill Plemmons RV and be prepared to fall in love. Contact Us to find out more about turning your next camping trip into a glamping extravaganza!